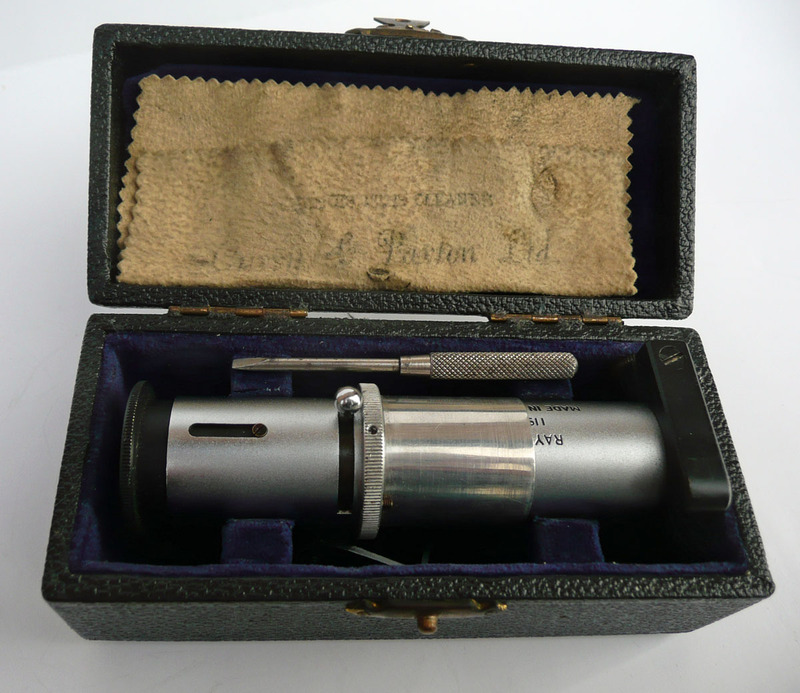 Nickel plated compact spectroscope in its plush-lined case. The outside slit (pocket spectroscope) and the inside slit (for microscope) are continuously variable. 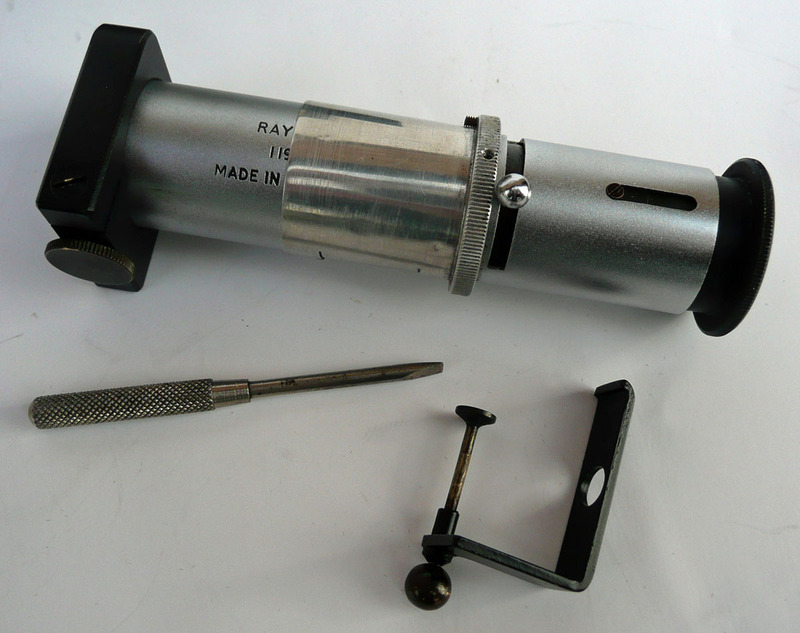 The slit is covered to prevent the entry from dust and the slit selection is achieved by turning the eyepiece, making the adjustment easily accessible when the spectroscope is inserted in the viewing tube of a microscope or in a stand.